'Brand Amplifier,' the brainchild of the brilliant entrepreneur Jeanette Pritchard - who gives back for real - held the award finals at ITV this week. 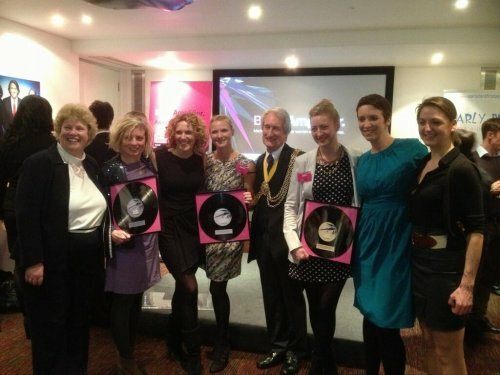 I was privileged to be part of this, joining Georgie Bingham and past winner Zoe Robson on the judging panel. Every finalist was truly a winner already but after a full day judging the results were in! Nicky Doodson Flowers scooped silver, John and Pearl carried away gold and the winner for 2013 was Early Bird First Aid so congratulations to you all. I also know what to do now if a baby is choking...if you don't, you better check out Early Bird NOW!